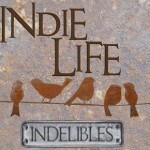 Indie Life – Taking advantage of the impulse purchase. Welcome to Indie Life. This monthly theme is a creation of the Indelibles. Click on over for the complete linky list to read up on everything Indie. Yes, I’m a writer, but this is coming purely from a reader’s perspective. I’ve always loved browsing in bookstores, but these days, more often than not, I browse on Amazon. Lately, I’ve found very specific reasons on why I click on a book and then why I purchase it. Definitely at the top. But not even close to why I actually purchase a book. So if you want people to at least click on your book to give it a try, then go for an appealing cover that represents your story. Even if you have a great cover, I won’t click on the Look Inside feature, if I’m not crazy about the premise. This is very subjective. So hook your reader by being concise and getting to the heart of your story. After the cover, after the blurb, I check out the rank. Is the book selling? I also check out the reviews. I have very specific tastes. Voice, tone/mood, the writing – all comes into play. I know almost right away within the first page, the first paragraph, if I want to buy it. What turns this whole process into a purchase is the price. If I’ve loved everything so far, and the book is on sale for 99 cents, then it’s usually a definite impulse purchase. If the book is 2.99/3.99, I wait and think about it. If I keep thinking about it, then eventually I’ll buy it and read it. Final conclusion: Even though the cover, blurb, rank, and price play a role, the first page is most important. Because even at free or 99 cents I won’t buy a book unless I really want to read it. What was your last impulse purchase? And why? ← Some fantastic new releases! 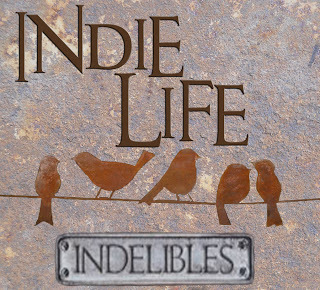 8 Responses to Indie Life – Taking advantage of the impulse purchase. I definitely have a few impulse buys on my iPod Touch, though I am getting fussier. There are a lot of great premises out there, but something about the premise has to call to me before I decide to buy the book. And that’s getting tougher to do. Mostly my reads come from my CP’s recommendations. And yes, cover is HUGE for me. If the cover doesn’t appeal to me, I won’t check out the blurb. I think I’ve been burned too many times on wanting to buy a book just based on the cover so it doesn’t hold as much sway over than it once did but I am more apt to click on it. It’s more about word-of-mouth for me – if someone whose book opinions I trust sends out a Tweet saying “check out this book for sale on Amazon today, it’s awesome and I love it!” I’m way more apt to impulse buy it than for almost any other reason. For me, the blurb and reviews are what get me to buy a book. I’m not too much of an impulsive buyer anymore. With my blog and interviews, I have so many books to read that I have to really want to read a book and think I’ll have time to read it to buy it. I tend to buy more books when I’m going on a trip because I love having a selection to read on my Nook. It saves on lugging so many books with me. I bet Natalie that you get a lot of books to read. 🙂 I guess I’d have to say that I don’t impulse purchase any book that’s over 3.99 though. That’s definitely more thought out. I have to agree with you. I am very swayed by an intriguing cover. And like you, the second element I look at is the blurb. What’s this story about? Is it something I’d be interested in? Covers don’t grab my attention, especially not these days. They all seem to look the same! Especially in the YA and women’s fiction genres. Covers by men authors are usually boring. (Middle grade covers are still pretty interesting and different from each other though.) So I avoid judging books by their covers. Titles are what grab my attention. If I find the title interesting, I’ll check out the back cover for an enticing premise. That’s how I make my impulse buys when I browse the bookstore!